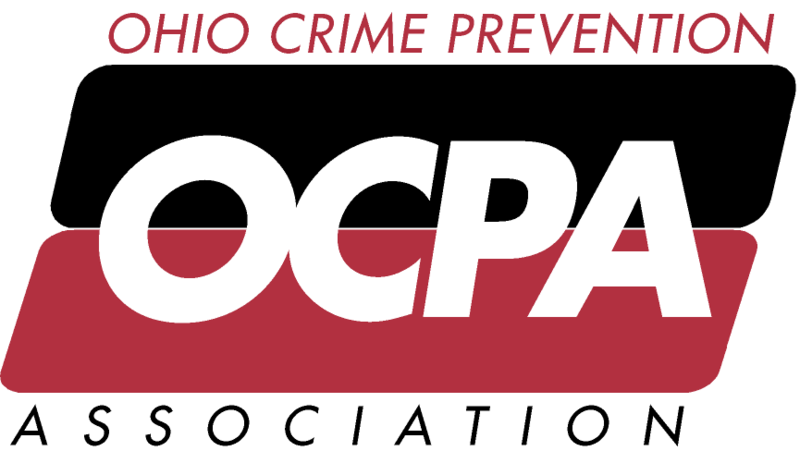 "THE PROFESSIONAL VOICE OF CRIME PREVENTION IN OHIO"
The Ohio Crime Prevention Association (OCPA) was founded in 1977 by a core group of dedicated law enforcement officers concerned about the safety of Ohio residents. Today, OCPA is the nation’s largest state crime prevention association, with a diverse membership representing law enforcement agencies, government offices, businesses, the faith community and resident groups. As the Professional Voice of Crime Prevention in Ohio, OCPA is a clearinghouse for state and national crime prevention and community policing training and resources. OCPA projects range from basic crime prevention schools and conferences, to training on important crime prevention topics, and timely publications. Established on the foundation that crime can be prevented, the Ohio Crime Prevention Association is committed to the development and advancement of a continuum of educational opportunities in crime prevention and community policing, to ultimately make your community and state a safer place to live, work, and play. We value member oriented professional training to form effective collaborative partnerships in preventing crime and addressing quality of life issues for the communities that we serve. Crime prevention is everyone’s business. The Ohio Crime Prevention Association (OCPA) was founded more than 30 years ago by a core group of dedicated law enforcement officers concerned about the safety of Ohio residents. Today, OCPA is the nation’s largest state crime prevention association, with a diverse membership representing law enforcement agencies, government offices, businesses, the faith community and resident groups. As the Professional Voice of Crime Prevention in Ohio, OCPA is a clearinghouse for state and national crime prevention and community policing training and resources. OCPA projects range from basic crime prevention schools and conferences, to training on important crime prevention topics, and timely publications. helps develop environments where crime cannot flourish.